How much does pet sitting in your own home cost? WHAT ARE THE RATES FOR PET SITTING IN YOUR OWN HOME? When you choose this type of pet sitting for your animal, what are the rates for pet sitting in your own home? They can include various additional costs which will vary according to your requirements and the pet sitter that you employ. 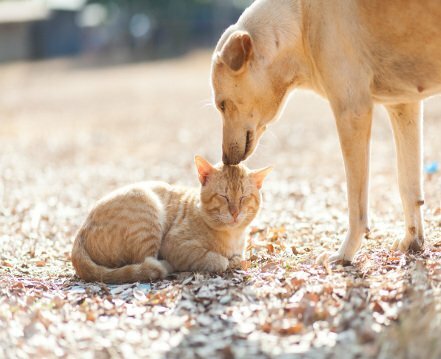 If you choose to use a website which connects pet owners with pet sitters, you’ll benefit from an all-inclusive price for the sitting. The price includes an amount for the sitter and an amount for the site. Generally the sitter’s rate is set by the sitter himself, depending on the service requested and the animals involved. Given that sitters’ rates do vary, it’s quite possible you’ll see a different price for each sitter when you search for pet sitting in your own home. Unlike the pet sitter’s price, the website’s fee is generally fixed regardless of the pet sitter that you choose. And their fee usually includes third party insurance cover as well as additional policies (e.g. for vet fees and cancellation), to give you peace of mind and ensure a high quality sitting for your pet. When you book pet sitting in your home, you’ll need to include additional expenses in your calculations. For example, the pet sitter will need to travel to your home to carry out the pet sitting and so will incur travel costs. These will generally be charged to you as mileage expenses. The mileage will be calculated on the basis of a return journey from the pet sitter’s home to yours. To keep these costs to a minimum you should aim to choose a pet sitter as close to your home as possible. If the pet sitting is taking place in your home, then it’s important to know that you are not responsible for all the expenses. Anything related to the sitter’s usual daily routine remain their responsibility. So any journeys to work or for leisure etc during the pet sitting will be paid for by the sitter. Likewise the pet sitter will need to cover the costs of all their food during their stay in your home.